Here is a piece of my past that proves, once again, that I'm not biased against rock music. 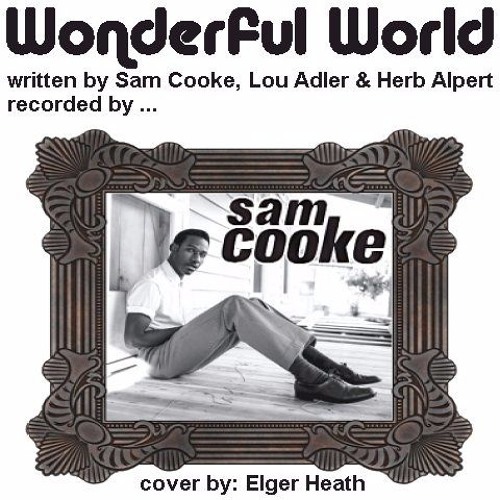 With it's lyrics and music written by Sam Cooke, Lou Adler & Herb Alpert and recorded by Sam Cooke in the early 1960s this is an example of how simple a rock song can be. Still add some harmony and some catchy music and you get something very beautiful and that's what Sam Cook got out of this tune. No doubt it is a keeper. I can't tell you how many times this song comes to mind and what a perfect love song it is. My cover of this classic is very instrumentally simple and takes a more country musical slant but I think it stays pretty much to form other than that. I hope that you enjoy this effort. I know that I did.